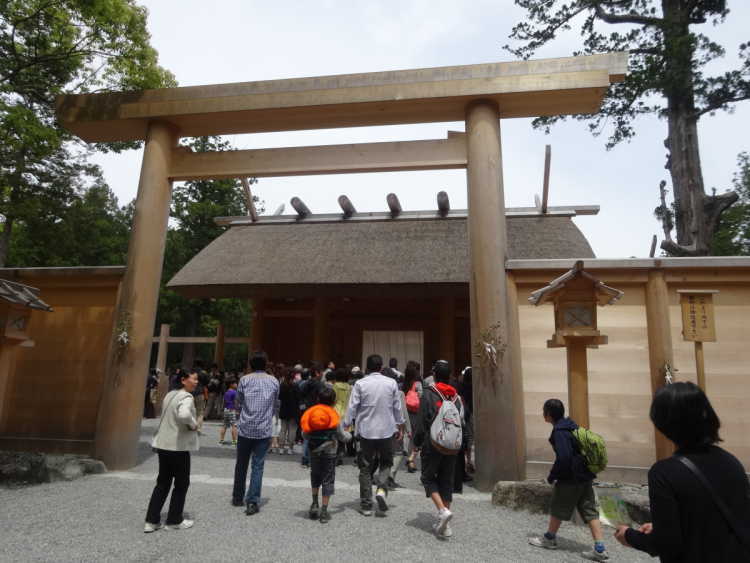 Geku of Ise Jingu shrine. Toyouke Daijin is a god for all kinds of industry such as food, clothing and shelter. Meals for gods are started to cook here by making a fire everyday. 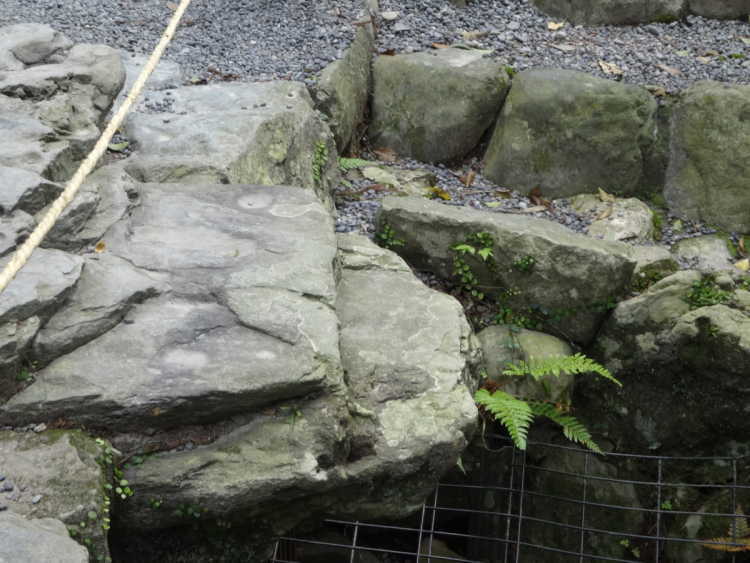 A big stone that over the river in Toyouke Daijingu, looks like a turtle(kame in Japanese). They say that you can get a power when you walk on the stone. You can also touch it. 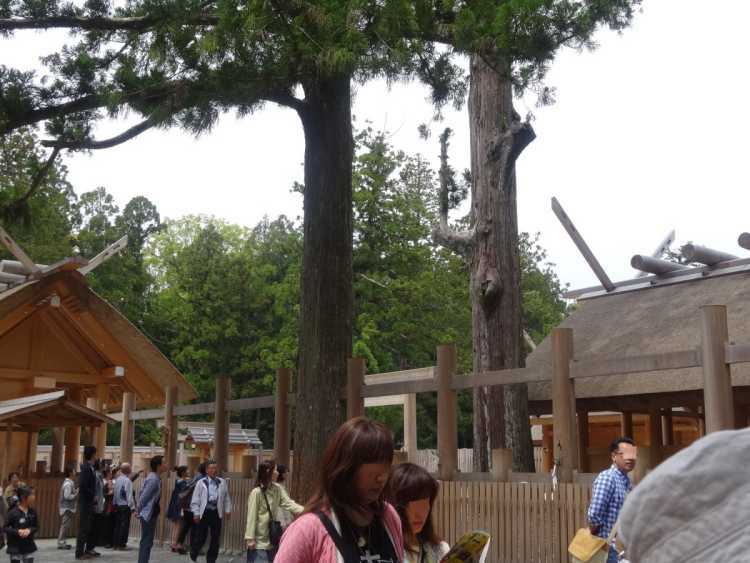 A sacred cedar tree in front of Toyouke Daijingu. Many people touch it as a spiritual tree. You can hold it and listen carefully.